Rating: 3.8/10. From 124 votes. 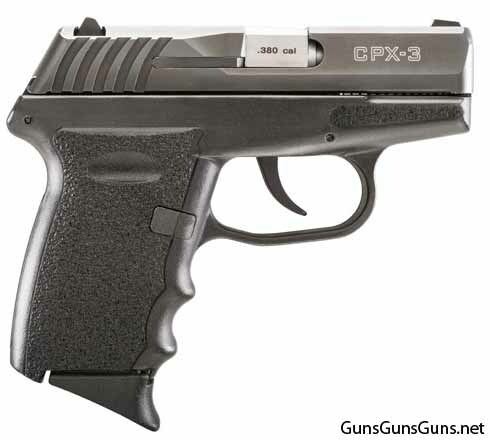 Summary: The description, specs, photos, pricing and user ratings for the SCCY Industries CPX-3 pistol. The CPX-3 from the right. two staggered 10-round magazines with a finger extension base installed on each. SCCY Firearms carry a lifetime warranty that stays with the gun, not with the owner. 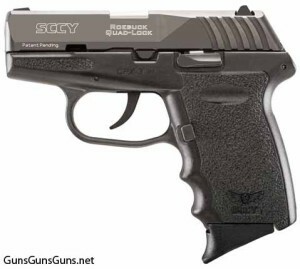 SCCY says its pistols are manufactured and assembled in the USA. It hopes to begin shipping the CPX-3 spring 2016. .380 ACP 10+1 2.96″ n/a n/a n/a 15 oz. The CPX-3 from the left. This entry was posted in .380 ACP, $251-$500, SCCY Industries, Semiauto, Subcompact on December 17, 2015 by Staff. Can’t wait to try SCCY CPX 3. Let me know when they are available. They must be difficult to manufacture since they were expected to start shipping in the spring! Bought gun 6 months ago. Still no release date. Any idea?